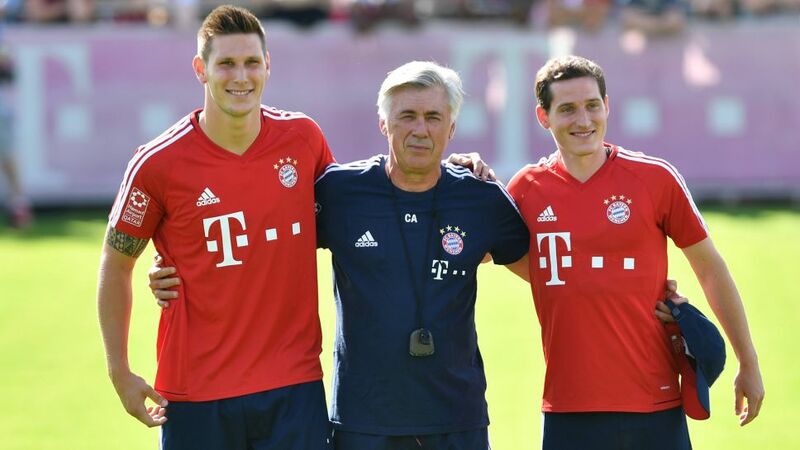 New Bayern Munich signings Sebastian Rudy and Niklas Süle were all smiles as they were officially presented on Sunday following their transfers from Hoffenheim, but offered glimpses of a steely determination to succeed at the record Bundesliga champions. The duo were both part of Germany's triumphant squad at the FIFA Confederations Cup Russia 2017 in June and did not travel to Asia with the club on Bundesliga World Tour earlier this month after being granted an extended holiday to rest from their exertions. Speaking at a press conference on Sunday, Rudy said: "I’m happy to finally be here. I had a long break and I’m just looking forward to getting going here and showing what I can do." The 27-year-old was a key figure for Hoffenheim last season, playing the full 90 minutes in 29 Bundesliga matches as Julian Nagelsmann's side surprisingly secured a fourth-placed finish. Rudy will now compete for a midfield berth alongside Thiago, Renato Sanches, Corentin Tolisso, Arturo Vidal and potentially even Joshua Kimmich, although he is unfazed at such a daunting prospect. "Niki and I know what we're capable of, otherwise we wouldn’t come here," he said. "I want to continue to improve, grow as a person and push myself. I think we have good competition for places here and that means we’re all pushing ourselves and have to perform at our best." Süle likewise faces a tough task to earn a spot in the starting line-up, with three World Cup winners – Mats Hummels, Jerome Boateng and Javi Martinez - already vying for one of the two centre-back berths. The 21-year-old is looking forward to the challenge, however: "There's nothing better for a young player like me than to learn from the best in the world. It's a massive task to put those guys under pressure and to get some game time." Head coach Carlo Ancelotti, who kept a close eye on the two newcomers in their first training session on Saturday, said: "We're confident they will improve us and will make us more competitive. They're both young players with a lot of confidence. I'm sure they'll have a great season." Meanwhile, Vidal and Kimmich, who also played in the Confederations Cup final, returned to Bayern training on Sunday for the first time since the tournament, having likewise been given permission to have an extended break. Ancelotti therefore now has the majority of his first-team squad available to him ahead of the Supercup against Borussia Dortmund on 5 August. Manuel Neuer is still recovering from a broken foot and Juan Bernat is out after an ankle operation, but Thiago, Boateng and Arjen Robben all took part in training following injury. Watch: The Supercup is coming!